Meandering through the city center, San Antonio’s 15-mile-long River Walk, or Paseo del Rio, is a green and watery world of footpaths, arched stone bridges and blooming landscapes; in fact, it is said to be is the largest urban ecosystem in the country. You can take a boat tour on the river, hop on a bike from the shared bike program; dine in one of 40+ eateries, enjoy live entertainment, and browse art galleries and shops. A recently added 8-mile stretch called “Museum Reach” now enables culture vultures to wander their way to all five of the city’s 300-year-old Spanish colonial missions and access major museums and historic sites. 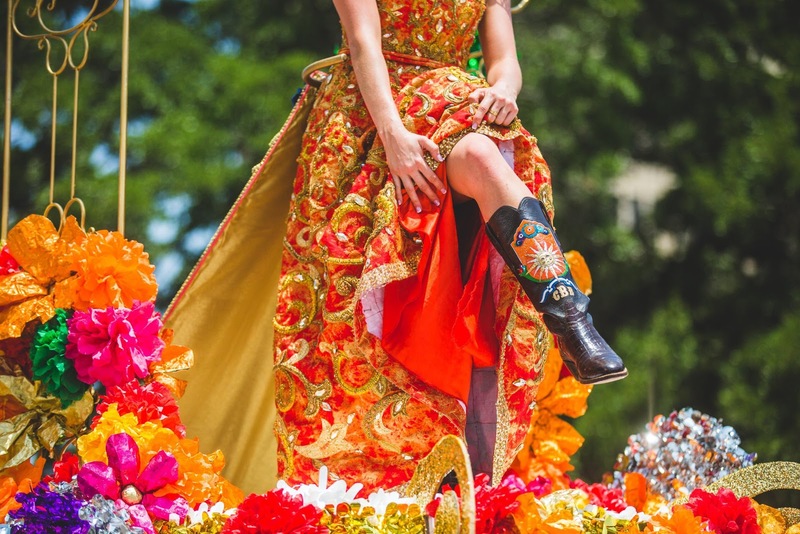 Kick up your heels at the annual FIESTA water parade in Antonio. FIESTA, San Antonio’s largest celebration, takes place in April, with more than 100 events, one of which is the second-largest float parade in the U.S. Get here for the food (a ‘Creative City of Gastronomy’ by UNESCO); the live music and performances; the art and culture exhibits, streets fairs, and for the spectacular 127-year-old Battle of the Flowers parade. Headquarters for the Concepción, San José, San Juan and Espada missions is the San Antonio Missions National Historical Park Visitor’s Center in Mission San José, where you can pick up a self-guiding map, browse the on-site museum and watch a short video that tells the stories of mission life in the 1700s. 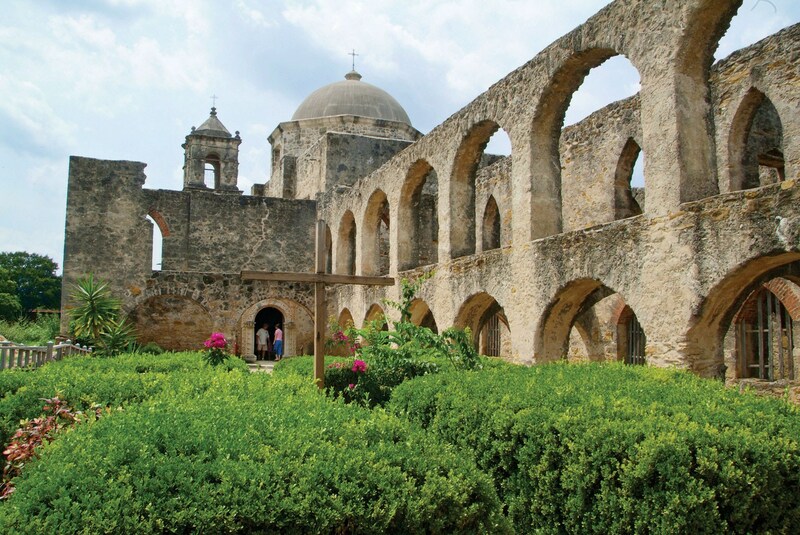 The largest collection of Spanish colonial architecture in the U.S., the San Antonio Missions were recently designated a UNESCO World Heritage Site. In the historic Lone Star Brewery building, the San Antonio Museum of Art specializes in Spanish Colonial, pre-Columbian and Latin American folk art, and houses the collection of Asian art in the southern United States. 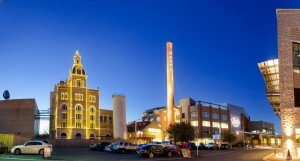 Built in 1883, the sprawling Pearl Brewery complex has been reconfigured with an outdoor entertainment venue on the riverside; a culinary institute, eateries, a farmers market and shops. Along the leafy footpath here are outdoor art and lovely wetlands inhabited by birds and waterfowl. New in the fab, renovated brewery complex are the urban-chic, 146-room Hotel Emma, and an annex of the Culinary Institute of America, where you can watch indoor/outdoor demonstrations at the Latin kitchen, and take classes and tours. Focused on natural history, science and South Texas heritage, the Witte Museum of History, Science and Culture. The museum is located at the entrance to Brackenridge Park, where you will find the Japanese Tea Garden, the zoo and a golf course, playgrounds and picnic areas. Along Museum Reach is plenty of public art, and benches and terraces for resting and enjoying the scenery. 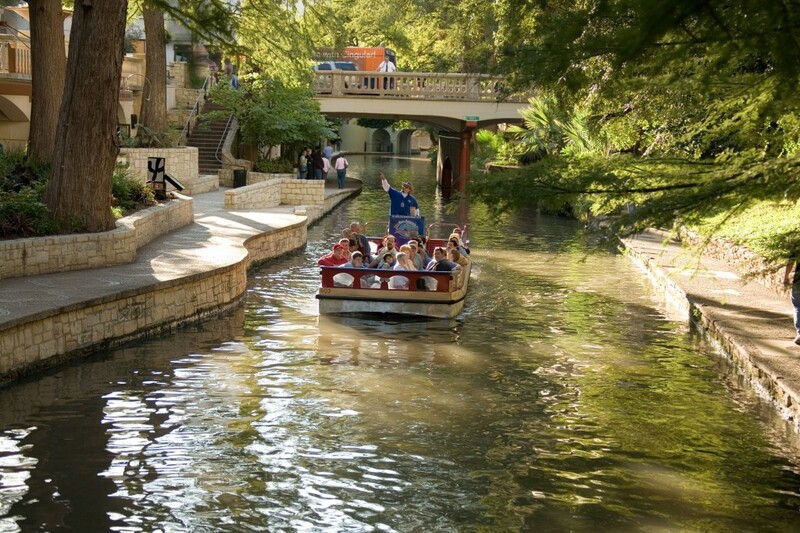 An easy, lovely way to access the museum walk is by taking a water taxi from the original River Walk area. Here is an introduction to the cultural attractions of Museum Reach. In downtown not far from Riverwalk, on three floors of a beautiful, 1930s-era Carnegie Library, the Briscoe Western Art Museum is all about 500 years of art, people, and history of the American West, with an emphasis on the Western art of San Antonio and the South Texas region. Highlights are silver saddles, cowboy paintings and Western landscapes, a stagecoach and artifacts from the Spanish conquest. Use your smart phone to scan QR codes along the way for information about various locations. Markers, signage and plaques help orient you to history and directions for the destinations. Look for “Ambassador Amigos” guides in colored shirts and straw hats––they will answer questions and offer assistance. Very informative! I had no idea San Antonio’s River Walk encompassed such variety of riches or even that it was so lengthy. Love the idea of a dip into culture while immersed in a natural setting.